Ernesto is an organizational development and management consultant with over 15 years of professional experience that focuses on organizational development, especially strategic thinking, management, leadership, and communications. At present he provides consulting services in the areas of organizational design, capacity building, dialogue facilitation for the private and public sectors in Puerto Rico, the United States, the USVI, and Latin America. 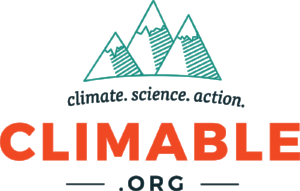 CLIMABLE is a woman-run non-profit that works to communicate issues in climate science and clean technology to make them understandable and actionable for all audiences. One of the four main aspects of Climable’s work involves bringing clean energy microgrids to low-income communities through a grassroots, community-driven approach. Climable helped develop a Resilient Urban Neighborhood (RUN) model that champions environmental justice with this replicable, scalable energy solution. Mr. Wouters is an architect and urban planner who has led resiliency planning projects following Hurricane Sandy, economic revitalization efforts of several major cities and rural communities, as well as urban planning of communities and regions. Marc Wouters Studios brings a unique design and management oversight process that synthesizes an unusually wide range of design needs. The firm’s successful and comprehensive design solutions are derived from a synthesis of experience in residential, commercial, and institutional building types, sustainable infrastructure, as well as in urban planning. An Architecture and Design firm led by principal architect Eugenio Ramírez Ballagas. ERERAS Arquitectos has evolved into a multi scale firm, tackling an array of small to large scale projects. A model office in Puerto Rico working between the architecture and academic world, proposing innovative solutions for a large myriad of circumstances. The Puerto Rican Planning Society is a democratic organization that, with authority and transparency, supports professional planners and strengthens their practice with the goal to use it as a tool for social change in the process of fostering a sustainable, prosperous, fair, democratic, solidary, and happy Puerto Rico. Its mission is to represent, defend, and anticipate planners' interests to further develop a practice of excellence and social compromise. MainSpring International Inc. is a women-owned small business working to help organizations, institutions and individuals achieve the independence and professionalism to realize their missions and become drivers of change within their own countries. The company specializes in capacity building of non-governmental organizations (NGOs) including formal and informal grassroots groups with an emphasis on training and facilitation, institutional strengthening, youth and gender mainstreaming, advocacy and fundraising. MainSpring’s staff and network of highly qualified development professionals bring many years of experience designing and implementing donor-funded programs globally, as well as global networks that enable the company to work across Africa, MENA, Europe and Latin America/Caribbean regions. Since our founding during the campaign to pass the landmark Clean Water Act in 1972, Clean Water Action has worked to win strong health and environmental protections by bringing issue expertise, solution-oriented thinking and people power to the table. Our mission is to protect our environment, health, economic well-being and community quality of life. Clean Water Action organizes strong grassroots groups and coalitions, and campaigns to elect environmental candidates and to solve environmental and community problems.